Anyway here is a list of items I want to have for my future travels this year and the next. I found them all at this site called Banggood.com. This site is basically your online mall, you can find a lot of items here that you might need like apparel for both men and women, household stuff, gadgets, accessories and travel items. 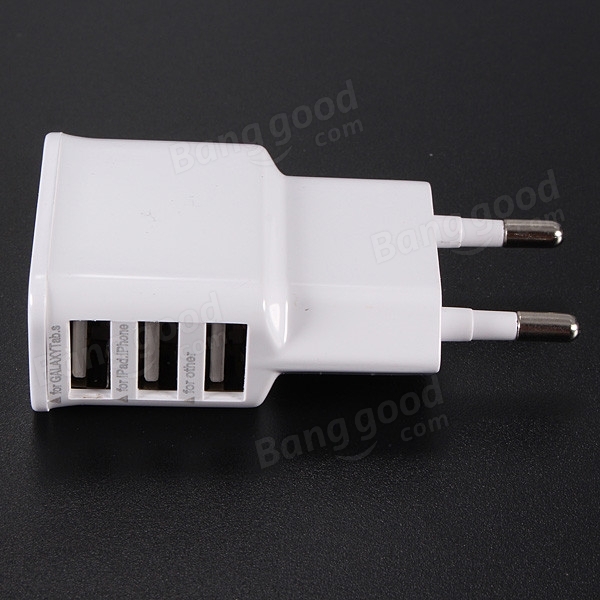 So here goes my wish list: EU 3 USB Ports Travel Wall Charger Power Adapter For Mobile Phone Most of the time hotel rooms have limited electric wall plugs, since I bring a couple of gadgets with me when I travel, this 3-port USB charger will be very handy because I can charge my electronics all at the same time using just one plug. 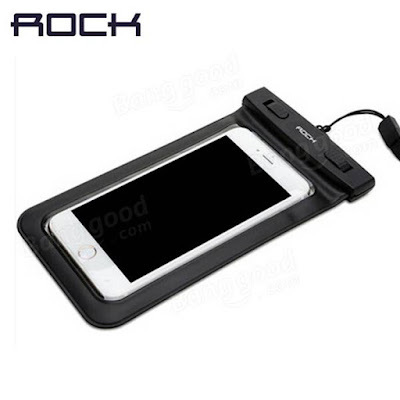 ROCK IPX8 Waterproof Double Transparent Window Waterproof Bag for Cellphone Most of mytrips are to the beach and I love taking photos using my phone so I can easily share them on my social media. I also love to take underwater photos and this waterproof smartphone bag would be of great help. Original XiaoMi Yi WIFI Sports Action Camera I've been wanting to own a sports camera and XiaoMi is a brand that is slowly gaining popularity because of its competitive features and functionality with that of the more expensive sports camera. I am looking at finally purchasing this. 8X Zoom Phone Camera Lens Telescope Case For Samsung Galaxy Like I said, I like taking photos using my smart phone but sometimes the zoom feature on my phone's camera isn't enough especially if I am taking photos of landscapes and things that are at a distance, this would be a great addition to my photography needs. 6 pcs Waterproof Travel Storage Bags Packing Cube Clothes Pouch Luggage Organizer Since I pack a lot of things when I travel, these luggage organizer would be a great help to lessen my time in looking for items that I brought with me. It's a good way to separate soiled/used clothes from fresh ones too, so they don't get mixed up. Portable Multifunctional Travels Card Ticket Holder Wallet Purse Storage Bag I think this is an essential for anyone travelling so you can put all your travel documents, tickets, passports, receipts etc in one holder so you don't need to rummage around your bag when you need something (which usually happens to me). 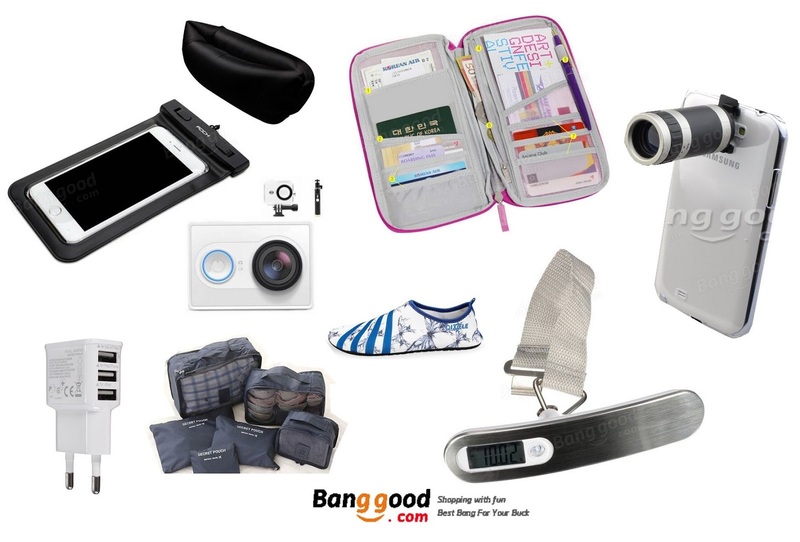 50 kg/10g Electronic Portable LCD Digital Luggage Scale Travel Hanging Weight I am someone ho carries a lot of things when I travel and I really need this handy luggage scale because I tend to accumulate a lot more things just before I go back home. and that means chances of having excess baggage and paying for huge fees, thus this is helpful so I can watch out for how much my luggage weighs. Fast Inflatable Sleeping Daybed Air Camping Sofa Portable Beach Nylon Lazy Chair I usually bring with me a mat whenever I go to the beach and this inflatable portable bed is something new that I want to try. I think this will be more comfortable to lie on instead of the usual beach mat. Plus it doesn't need an inflator pump so just you can plump it, you just need to inflate it against wind. 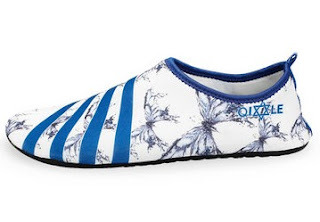 Summer Outdoor Super Light Flats Sailing Running Jogging Swimming Beach Soft Shoes This is one item that I should have bought years ago. During my beach trips and when I go snorkeling, I am either barefoot or wearing flip flops. Barefoot runs the risk of getting injured with sharp objects on the beach and corals, wearing flip flops is harder because they can slip off from my feet and float away. Plus I can also use these shoes for hiking and yoga.